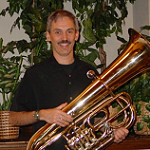 TubeNet • View topic - Some old horn dorn in performance! Some old horn dorn in performance! Re: Some old horn dorn in performance! I want to do this some day, but I do not know of any active groups in the Mississippi area. I have seen a reenactor band at the Civil War park in Vicksburg, but I think they were from Alabama or Louisiana. Oh, well. I would look pretty stupid in one of those uniforms, too, at my girth. Perhaps it would inspire me to lose weight? Whatever. I really enjoy these groups. I need to get an instrument from that era, fix it up and learn to play it really well. What a hoot! Thanks for posting this. If reenactments are more popular in certain states I can well imagine why it would be so.